Marx’s account of ideology or “false consciousness” is his most enduring legacy in the West. It provides the intellectual foundations for the work of the Marxists who founded the Frankfurt School in the 1920s and continued developing it until the 1970s. They provided the basis for what is called “critical theory,” which, drawing on Marxist and Freudian ideas, emphasizes the underlying, often hidden forces that determine the shape of culture. The three books reviewed here survey the lives and ideas of the most famous members of the Frankfurt School. 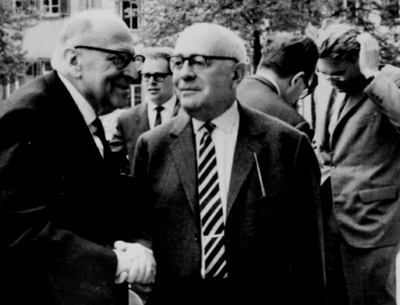 Grand Hotel Abyss: The Lives of the Frankfurt School by Stuart Jeffries, Habermas: A Biography by Stefan Müller-Doohm, translated from the German by Daniel Steuer, and Adorno and Existence by Peter E. Gordon.